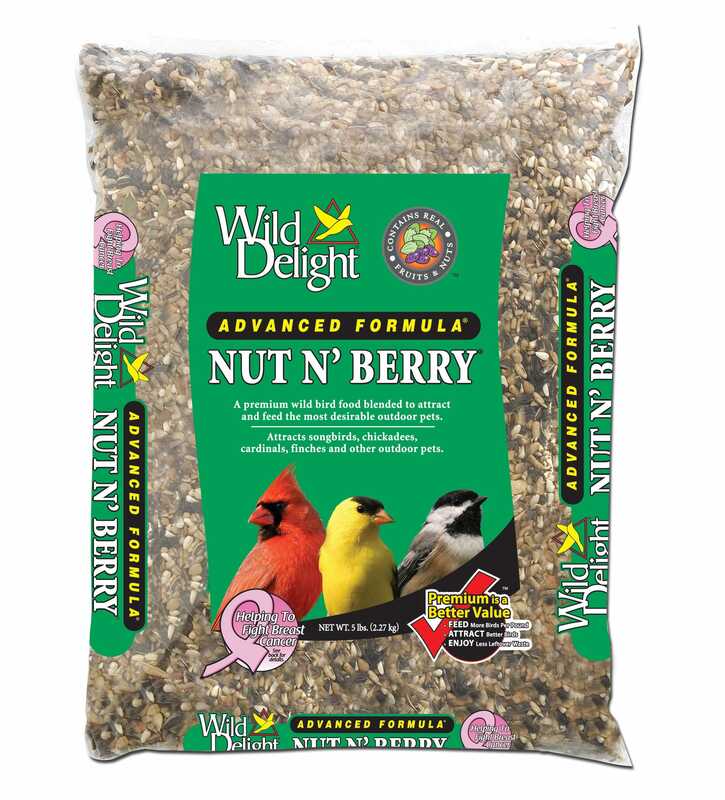 Wild Delight® Nut N' Berry® food is a premium blend of real fruit, nuts and hulled seed to bring desirable songbirds, woodpeckers and other beautiful species flocking to your feeder. This premium blend has a variety of fruits, nuts, and seeds as well as added vitamins and minerals to keep them coming back for more. No corn, milo, millet or chemical preservatives.